Moore Accountancy act as a one stop payroll and Auto Enrolment pensions bureau for many of our limited company and small business clients. Running your payroll can be complex and one of the biggest stresses of owning your own business is ensuring you pay your employees the correct amount at the right time. There is not only the administration to worry about, but also, the need to keep constantly up to date with ever-changing legislation and compliance issues – dealing with HMRC and pension providers all take up valuable time and the accompanying regime of penalties for non-compliance can be worrying. We have staff who can relieve you of this burden by providing a comprehensive and confidential payroll service. The process is incredibly simple, once we have all your employee’s personal details and year to date figures, we ask that you email over each employee’s hours, we then produce payslips and email these back to you or your employees, along with details of any HMRC PAYE liability. We deal with the issue of P45’s, new tax codes and are happy to resend any past payslips or reports without charging you a fee. 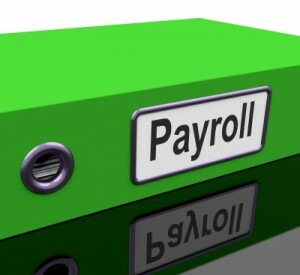 We run payroll services for many businesses, often integrating with their pension contribution needs. We can also help with auto-enrolment or pension scheme setup. If you need help and advice in selecting a scheme, you must speak to a qualified pensions adviser first. We can introduce you to IFAs if required. If, however you have already selected your scheme and it is the government NEST option, The Peoples Pension or NOW, we can help you manage this enrolment process at a very reasonable cost. See our Auto Enrolment (AE) page for more information.